So many questions coming in about what motor and VFD to use on a 2" x 72" belt grinder build. There is no simple answer if you like to scavenge as I do. However, a more serious look is needed if you plan on outlaying the cash. You want a reliable combination that meets your needs and will survive conditions of a steel grinding environment. First the most frequently asked question is about treadmill motors. Yes, they are cheap, well usually free. And yes they can be used to power some tools in your shop. However, from my own and experience and the experiences of many others, treadmill motors are essentially doomed to fail in a steel grinding environment. Not to mention the infinite number of possible problems of hacking a variety of controller boards, unsealed motors, poor speed regulation, differing voltages, weird shaft sizes etc. Sorry to all you treadmill motor fans, but these motors are really more hassle than they are worth. I do use an ICON Fitness DC permanent magnet motor on my lathe, but do not recommend this setup for anyone building a decent, reliable 2 x 72" belt grinder. AC induction motors are the way to go for belt grinders. 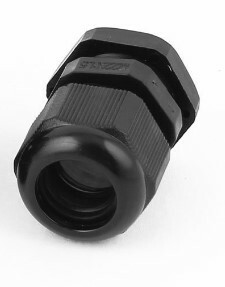 They are robust, have great torque and recover from loading very well. The following rules are something I concocted to help choose the right motor. The order in which they appear is important as the lower the rule number the more critical it is to the application. MOTOR RULE 1: The motor shall be three phase. MOTOR RULE 2: The motor shall be sealed. MOTOR RULE 3: The motor shall have sufficient power to do the job. MOTOR RULE 4: The motor shall be the appropriate voltage to be powered by a VFD. MOTOR RULE 5: The motor shall have a suitable frame size for a belt grinder. MOTOR RULE 6: The motor shall have appropriate RPM rating. You want to put your money in the right motor, so let's look at each of these in detail. As a knifemaker your belt grinder is going to be grinding steel. Steel is nasty when it gets inside of a motor. Motors are essentially electromagnetic machines. Magnets like to attract steel. Open motors are a bad choice for a belt grinder. Sealed or enclosed motors are best suited to this environment. Look for the letters TEFC (Totally Enclosed Fan Cooled) on the product description. Not everyone has the electric supply to power a large motor. Larger motors are more difficult to get wheels for. Larger frame motors don't always fit in the space you have. The 1 to 2 horsepower per inch width of belt comes to mind. This would mean for a 2" wide belt we're looking for 2 to 4 horsepower. Realistically we're going to be settling for about 1/2 of this. If you have only 120 V in your shop, you will be looking for a 1.5 horsepower motor. If you have 240 V in your shop, you will be looking for a 2 to 3 horsepower motor. VFDs commonly used in belt grinders are outputting 230 V three phase. The chosen motor must be able to run at 230 V three phase. The motor specifications will indicate typically 208-230 V or 208-230/460. As long as it able to run at 208, 220, 230, 240 etc. it will be good. 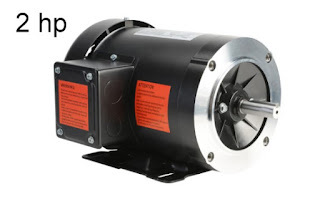 A common mistake is to buy a 460 V only motor. This motor will not work with VFDs we are interested in without additional equipment and added costs. Motors come in what are called standard frame sizes. Frame sizes dictate the mounting arrangement, the shaft diameter and a few other important properties of the motor. The National Electrical Manufacturers Association or NEMA has a list of motor frames and standard dimensions for each size. The frame size does not necessarily indicate the horsepower, however as a rule, larger frame sizes are used to make more powerful motors. There are two key questions related to frame size for us when making a belt grinder. What is the bore diameter of the wheel or pulley we are going to use? Will the motor be foot mounted or face mounted? Motors of frame size 56 have 5/8" diameter shafts. Motor frames of 143T and 145T have 7/8" diameter motor shafts. The guys that make the wheels consider these sizes common and offer wheels to match. 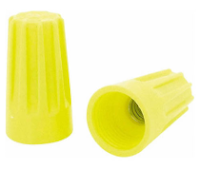 Motors of frame size 182T and 184T have shafts that are 1-1/8" diameter and wheel makers often do not carry wheels with bores of this larger size in their regular stock. Of course a custom wheel could be made or purchased, but this will come at added time or cost. As for mounting, you need to decide which way the motor is going to be mounted. In some grinder designs the motor is mounted to a base with four bolts. This is called "foot mounted." In other designs, the motor is mounted directly to the grinder frame with four bolts to the face of the motor and the shaft sticks through the frame. This is called "face mounted." A very common frame for belt grinders is the NEMA 56C. This will bolt on to grinders like the NorthRidge, Wuertz TW-90, Wilmot's TAG and EERF and my Sayber OSG. Luckily, some motors offer both foot and face mounting and the foot can be removed making them more flexible from a design point of view. 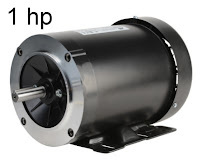 The speed of a motor is important but can be compensated for by using the VFD to increase the motor speed or by using a larger diameter drive wheel to make up for lack of speed. Pulley, shaft and belt arrangements can also be used to compensate for motor speed. However, not all grinder designs will accept these extra moving parts. There is also the risk of introducing vibration and the theft of power that this counter shaft system takes away from the belt. There are no hard and fast rules, only numbers based on abrasive manufacturer's recommended belt speeds for different materials. These number lead use to using one of two types of motors. A 1800 RPM motor and a 7" or 8" drive wheel. As the 1800 RPM motor has more wiring (copper) inside the motor they are generally more expensive to manufacture. This with the added cost of larger diameter of the drive wheels the clear choice becomes the 3600 RPM motor and the 4" drive wheel. 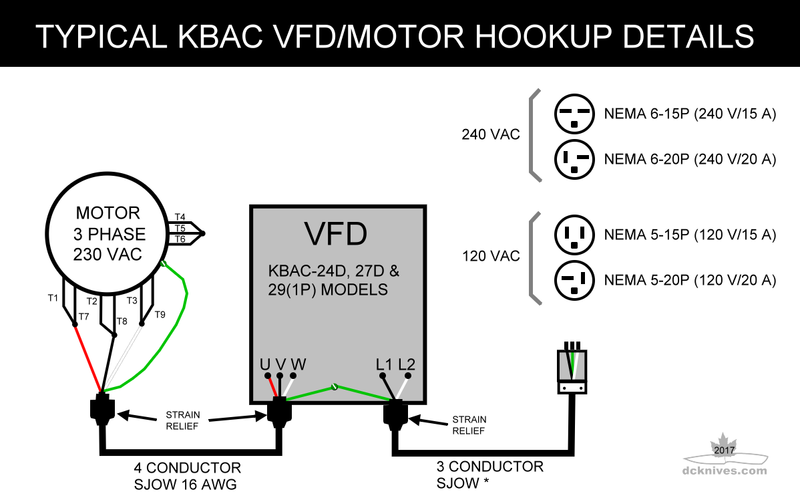 Now that we have a good understanding of what we want for a motor, let's look at VFDs. Luckily, there aren't as many rules relating to VFDs as there are rules for motors. However, each is equally important when it comes to protecting your investments. VFD RULE 1: You must have the available supply to effectively run the VFD and motor. VFD RULE 2: The VFD must be able to equal or exceed the motor rating. VFD RULE 3: The VFD shall be protected from the harmful effects of steel dust. 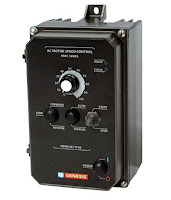 AC industrial VFDs come a few different voltage classes. These are typically 100 V, 200 V, 400 V and 600 V. The ones we are interested in are the 100 V and 200 V classes as this is what we are likely going to have for electric supply in our homes or shops. 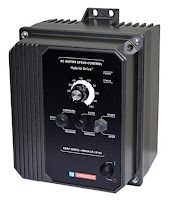 If you have 120 Volts only, you should be selecting a VFD suitable for running a 1.5 horsepower motor. If you have 240 Volts, you should be selecting a VFD suitable for running a 2 to 3 horsepower motor. The case of the 120 V supply is pretty clear. You will need a standard 20 A circuit breaker and receptacle. These are common in may parts of North America nowadays. In addition to the receptacle, it is recommended that you use 12 AWG cable to provide power to the input of the VFD. Some VFDs rated for 1.5 horsepower have inputs rated at 20 + amperes. This will require a larger 30 A circuit breaker and a suitable 30 A receptacle. For this system it is recommended to use 10 AWG cable to provide power to the input of the VFD. This rule may be obvious to some, but I still get the question from time to time about powering a larger motor on a smaller VFD. Do not do this. However, it is perfectly acceptable to run a smaller motor on a larger VFD. Do not a larger horsepower motor on a smaller horsepower VFD. Within the VFD, one can set the motor parameters to "tell" the VFD how to protect the motor. For example, I have a 2 horsepower VFD driving a 1 horsepower motor. Not a problem. I set a parameter or flick a switch and VFD the is now able to control and protect the motor properly. A larger motor will draw more current than a smaller motor. If the VFD is incapable of providing this current, it could result in damage to the VFD. Or more likely, the VFD will shut down and prevent the motor from running. Not really what we want. Size the electric supply to the VFD and size the motor to the VFD. Ask an electrician to help with the electric supply. VFDs come in different "packaging" options. Some are completely sealed from dust and water while others are open and need to installed into suitable enclosures for protection. Once again, In North America NEMA has some standards which define how open or sealed an enclosure is. NEMA 1 = fingers and small objects cannot enter. In the rest of the world, the IEC uses a two digit IP (Ingress Protection) rating defines this. See IP Rating. Commonly, VFDs are offered with NEMA 1 (IP20) protection. This means you can't stick something inside the VFD that more than about 1/2" in size, say your fingers. This type of VFD will need an enclosure (box) to provide additional protection from dust. There are a few models of specialized VFDs that offer NEMA 4 or NEMA 4x protection. The KB Electronics company has been very successful with their lines of NEMA 4x VFDs. Buy a NEMA 1 VFD and enclose it in a steel or plastic box, add a fan and an air filter. Buy a NEMA 4 VFD. There are, of course, cost and time considerations. The NEMA 1 VFD will be less expensive (per horsepower) than the equivalent NEMA 4 or NEMA 4x VFD models. The NEMA 1 VFD will also require purchasing and installing additional items as mentioned. The choice often comes down the time and know-how. 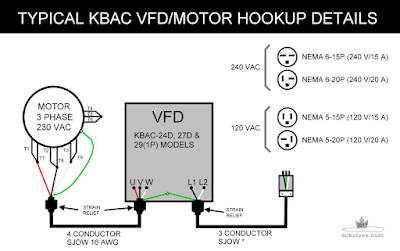 For 240 V supply I would recommend the 2 horsepower motor and the same KB Electronics VFD. The nice thing about this drive is that it can work with both 120 or 240 volt supplies. 120 V - Occasionally there are demands for a belt grinder that can plug in "anywhere." These are mostly limited to 1 horsepower. 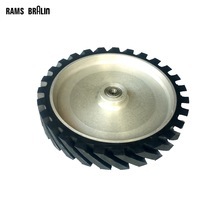 However, 1 horsepower is sufficient for less demanding grinding and polishing. I mean, if you are killing a 1 horse motor you may be doing something the wrong way! 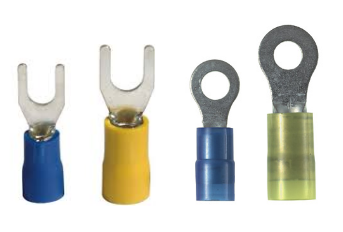 For the connecting the VFD to your electric supply you will need a length of three conductor cable and a plug that matches your receptacle. Normally I use SJOOW (sometimes called "cab tire" as it's jacket is a pliable rubber like a tire) . 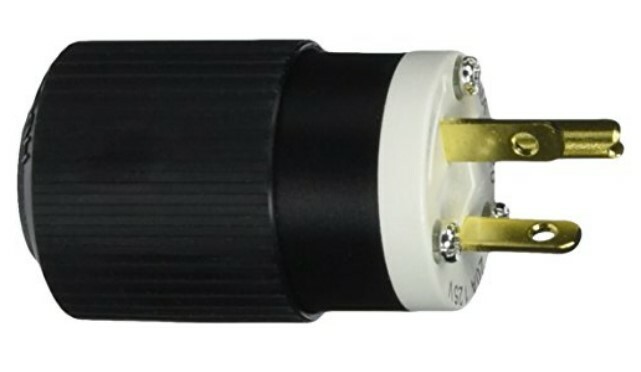 This same cable can be used for the connection from the output of the VFD to the motor, except the motor cable need four conductors. 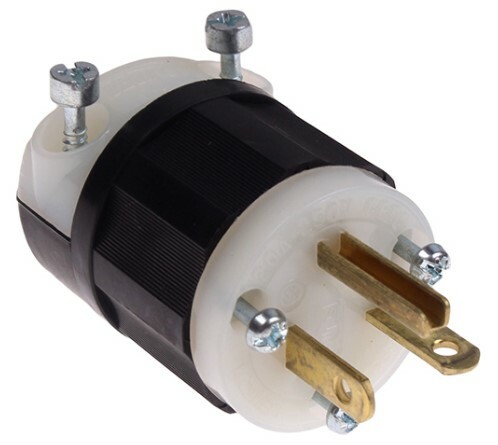 If you have 240 V in your shop, use a NEMA 6 plug. These come in a bunch of sizes, but the 15 A and 20 A are most popular for machines other than welders. 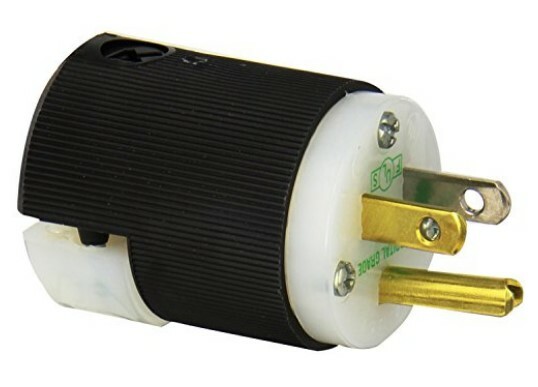 In addition to the plug, you will need some cable, some strain reliefs and some wiring connectors. These are available at HomeDepot or Lowes. Hammer for popping the knock-out plugs out. WARNING: If you are uncertain how to make safe electrical connections, please consult with qualified personnel. Working on live electric circuits can be extremely hazardous. Moreover, incorrectly connected equipment can be a fire hazard. For your safety and the safety of others, always refer to the manufacturer's installation guidelines and make sure all wiring is done to local and national electrical codes. When in doubt, ask an electrician to assist you. Stay safe. The VFD will come with printed manual or a minimum a reference to a PDF that you can download and reference for wiring up the drive. Almost all motors will have the connection diagram attached to the motor itself, the terminal cover or on the motor nameplate. 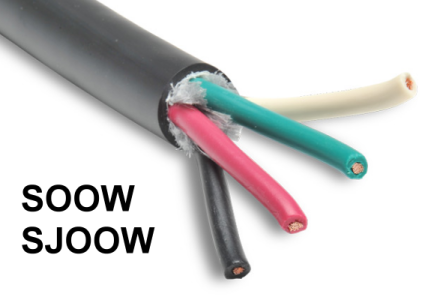 For connection to the VFD you will need a suitable length of 3 conductor SJOOW or similar cable. The three wires are for connecting the plug to the VFD input terminals.